Sven Nykvist, considered by many to be the world’s greatest living cinematographer, died in Sweden yesterday at the age of 83. 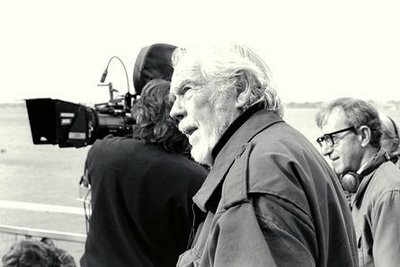 Nykvist’s career spanned more than five decades, during which he received three Oscar nominations and two wins (for Cries and Whispers, 1972, and Fanny and Alexander, 1982). In 1945, Nykvist made the jump from assistant cameraman to cinematographer. He worked on small Swedish films until 1953 when he first worked with with legendary director Ingmar Bergman on the film Sawdust and Tinsel. After their collaboration on the film The Virgin Spring, Nykvist replaced Gunnar Fisher as Bergman’s cameraman and thus began one of the greatest cinematic collaborations of all-time (17 films in total). Nykvist’s simple style that relied on lighting pushed Bergman’s work in a new direction, away from a theatrical appearance. Nykvist believed in using light to establish mood and to bring out the natural flesh tones in the human face. This enabled the emotion of the scene to be played out on the face without the light becoming intrusive. The documentary Light Keeps Me Company (2000) pays homage to Nykvist, without revealing any of his working secrets. “Together with Ingmar, he created movie history with those lighting arrangements. He was called the master of light because of the moods and atmospheres he could create with light. It was a near impossibility to create the moods he created.” — Carl-Gustaf Nykvist, son and director of Light Keeps Me Company. Beginning in the 1970s, Nykvist began making films throughout Europe and the United States, collaborating with other directors. They include: Louis Malle (Pretty Baby), Philip Kaufman (The Unbearable Lightness Of Being), Nora Ephron (Sleepless in Seattle), Woody Allen (Another Woman, Crimes & Misdemeanors), Richard Attenborough (Chaplin) and Lasse Halstrom (What’s Eating Gilbert Grape). In 1998 Nykvist’s career came to a sudden halt when he was diagnosed with aphasia, a form of memory loss. One thing is certain: no one will ever be able to emulate Sven Nykvist’s glorious style. Next Next post: Katie Holmes To Play Posh Spice?